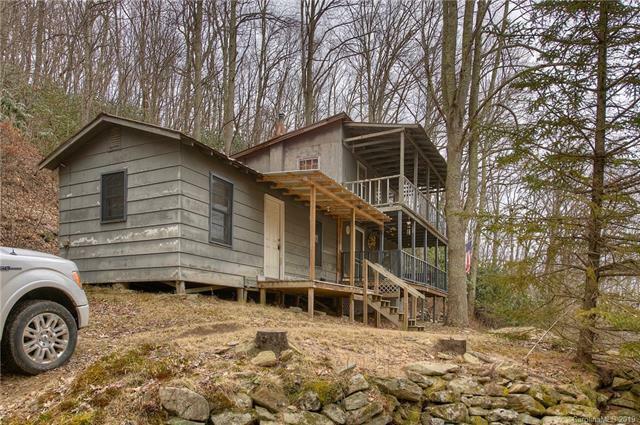 1464 Roaring Fork Road, Burnsville, NC 28714 (#3474983) :: Robert Greene Real Estate, Inc. Surrounded by trees and the sounds of a rushing creek this rustic cabin sits nestled in nature. 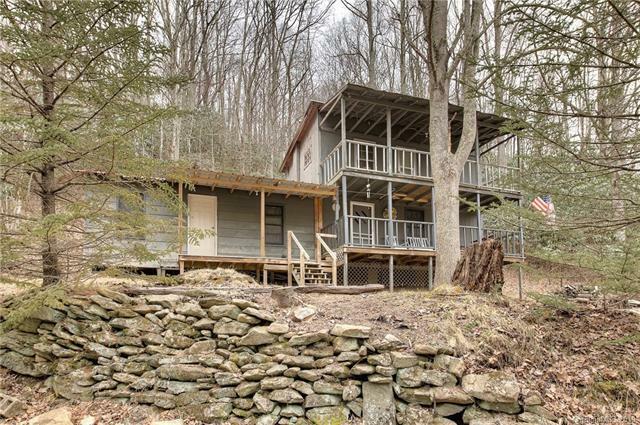 On 10+ acres this home provides great frame work to start a greener way of life. Location of the property gives potential for alternative energy sources. Kitchen, living room, 1 bedroom and covered porch on the main level. 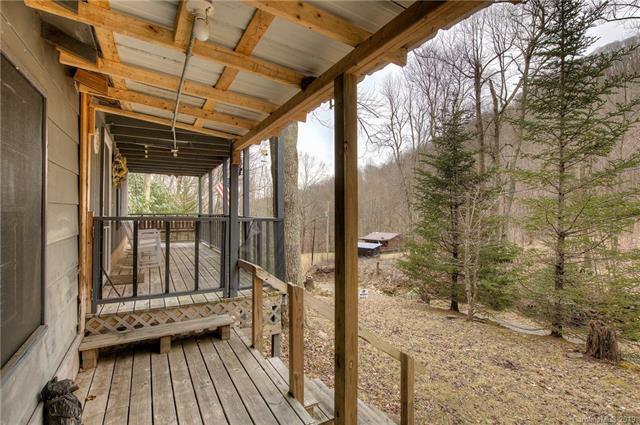 Upper level has 2 bedrooms and deck access. Upper deck needs TLC. House is wired with electricity, but there is no plumbing and no septic system. 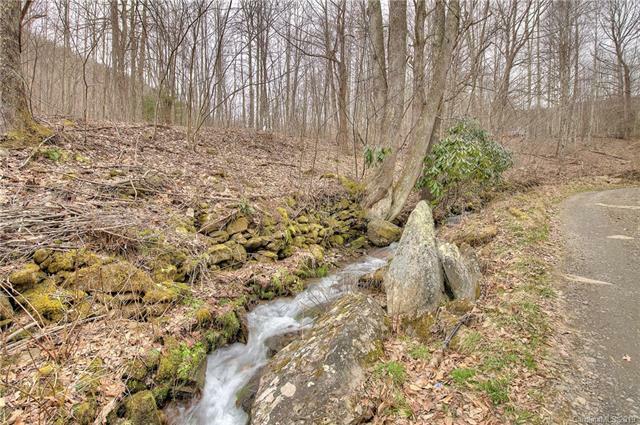 4 marked springs on the property available for future well. Possible second home site at the top with some clearing needed. Survey on file at the office.